St Owl - Illustration store PicsForDesign.com. PSP tubes, PSD illustrations, Vector illustrations. 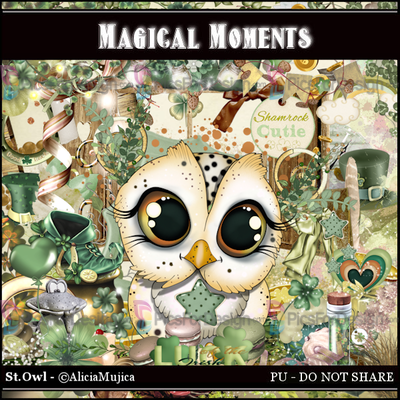 StOwl is a St.Patrick themed taggersize kit which contains 80 elements,10 papers and a very cute and awesome tube of ©Alicia Mujica ! !